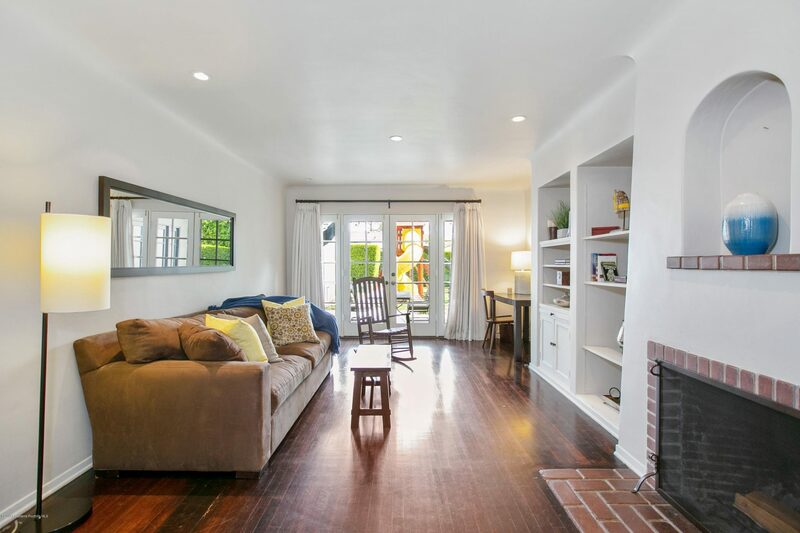 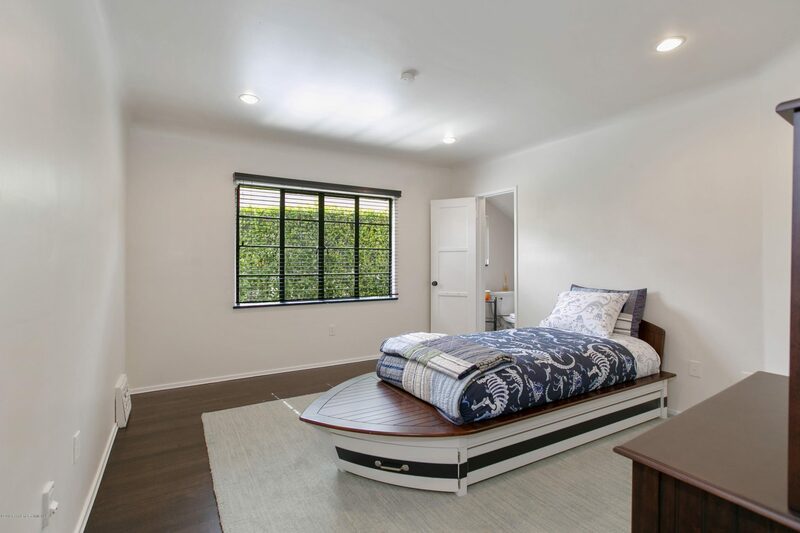 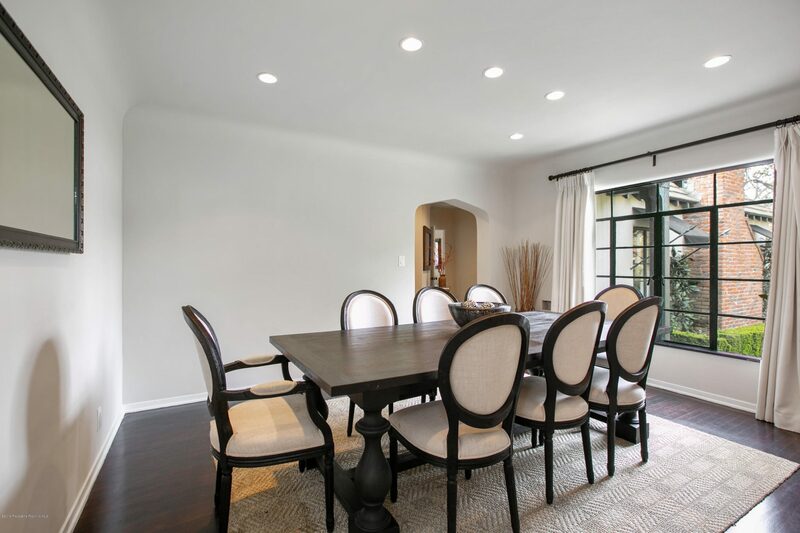 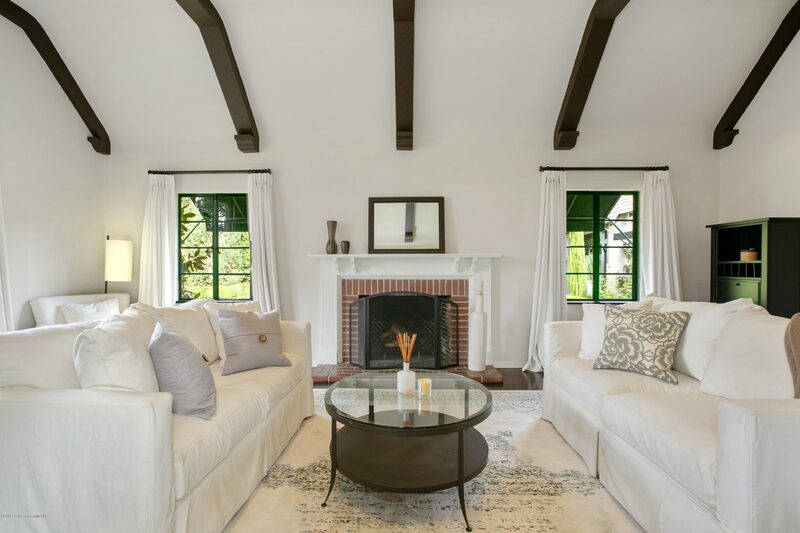 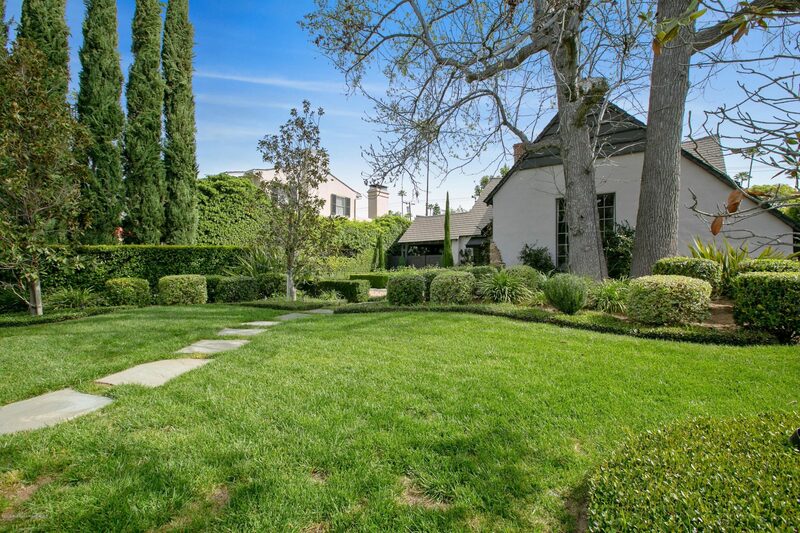 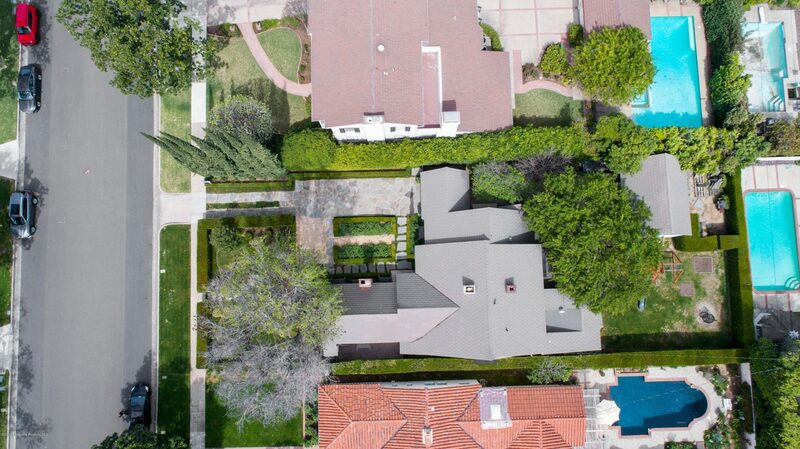 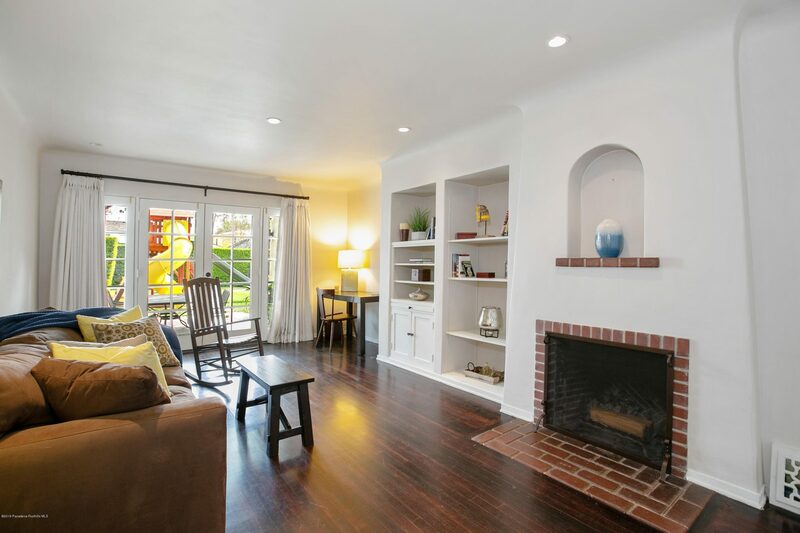 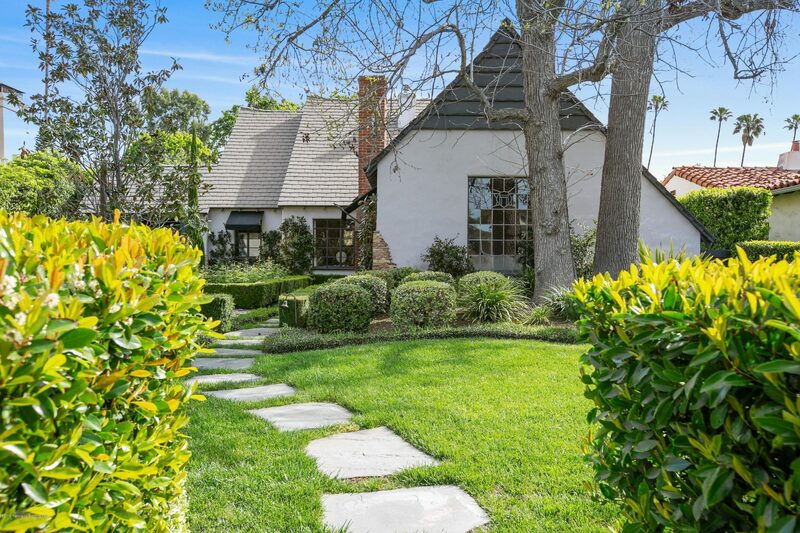 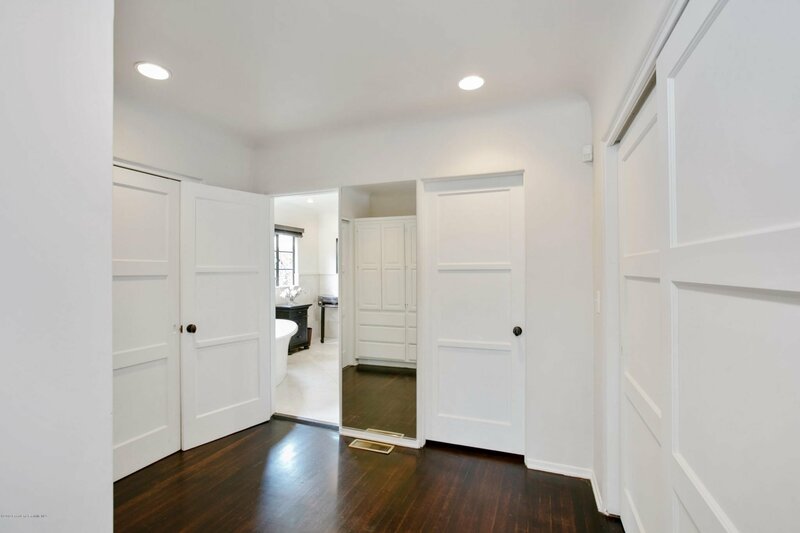 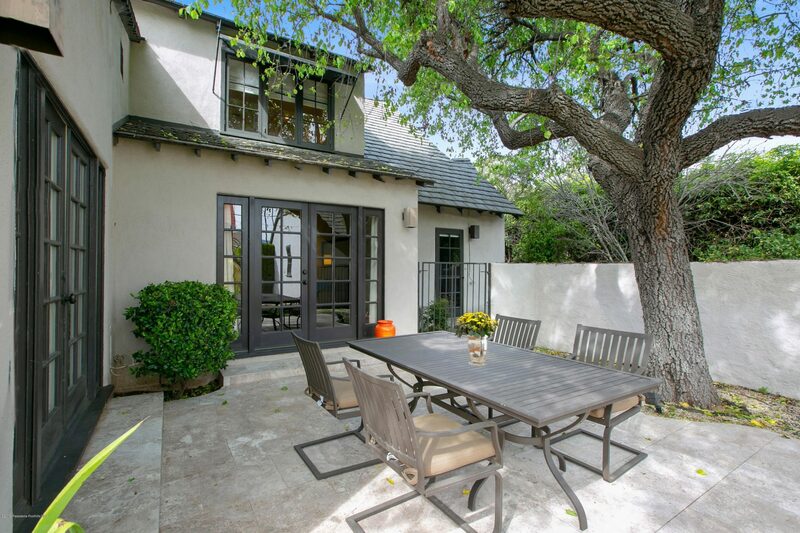 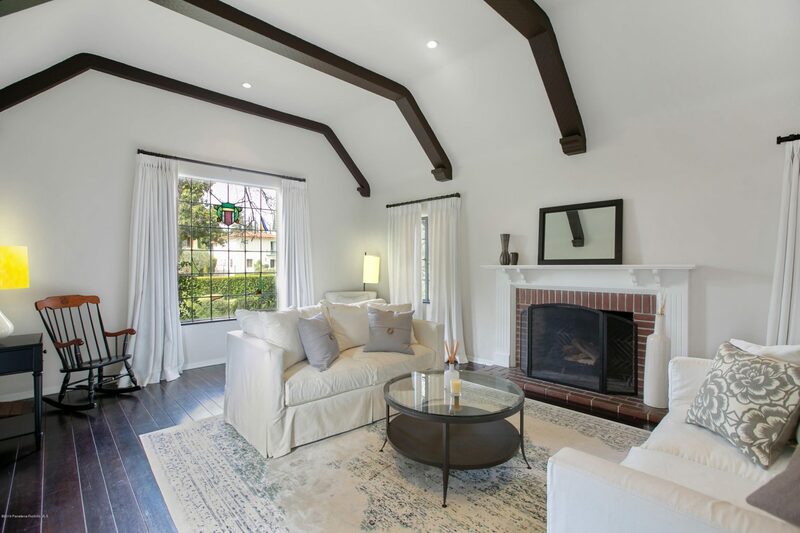 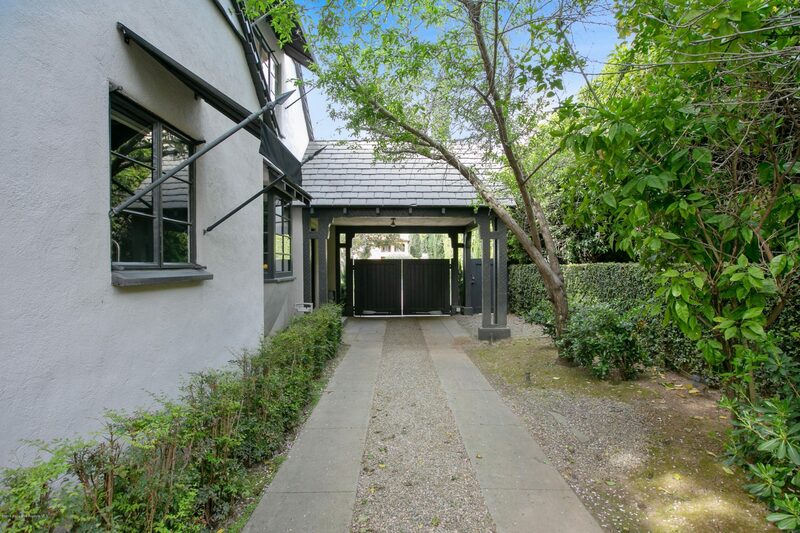 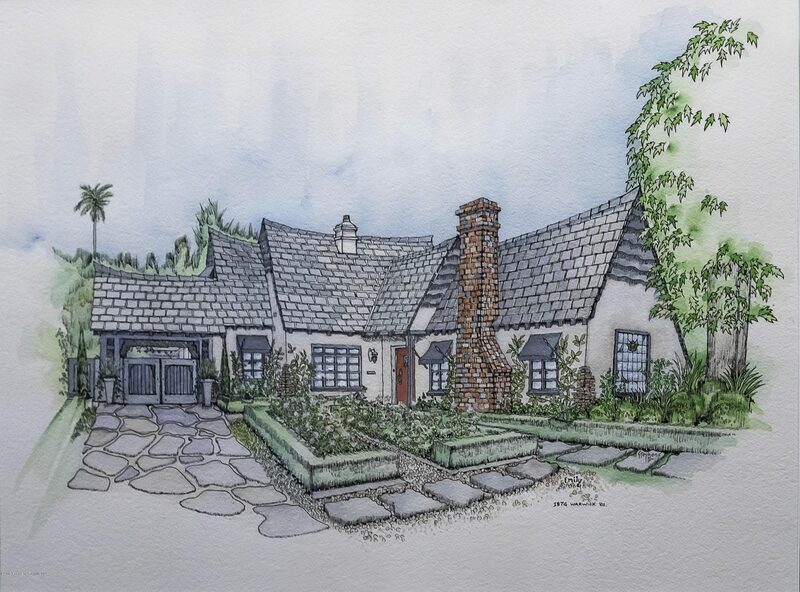 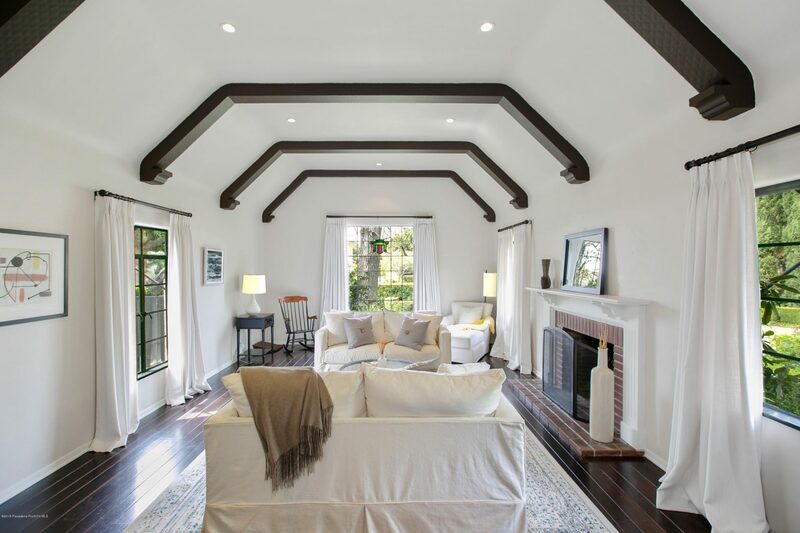 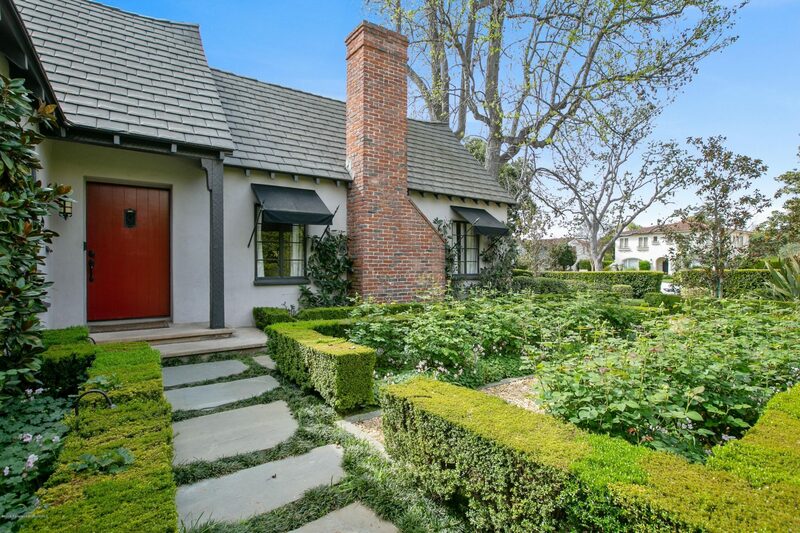 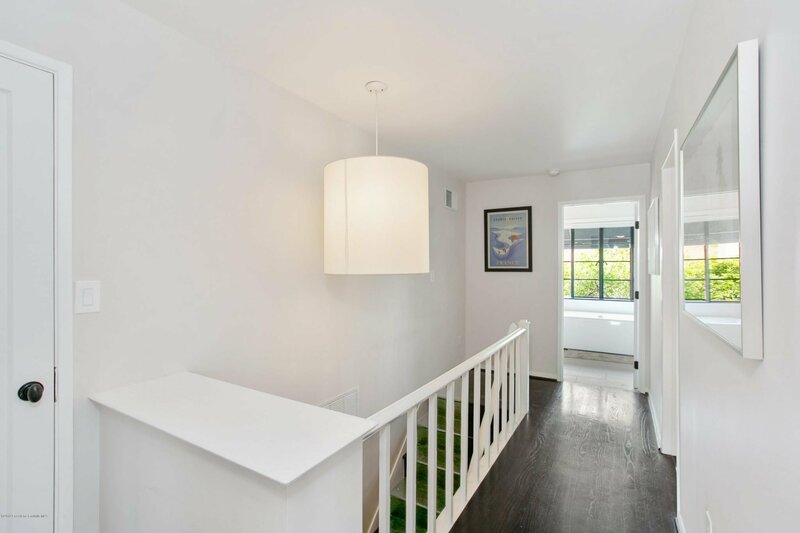 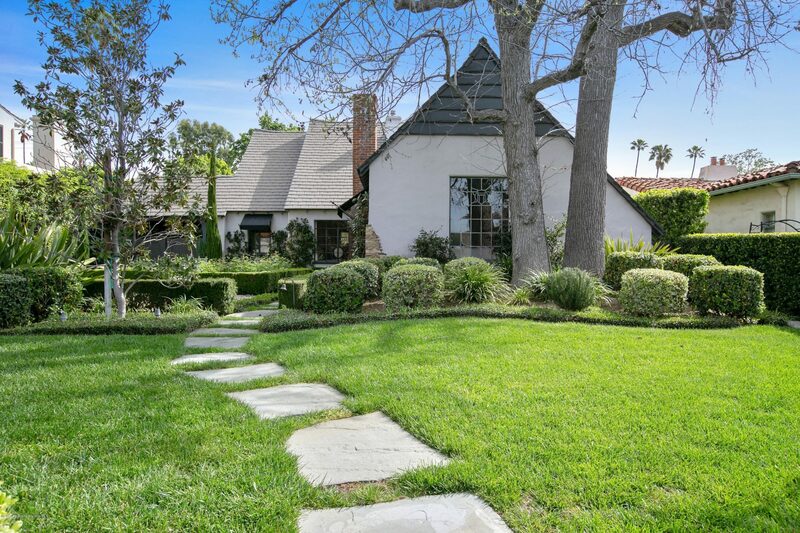 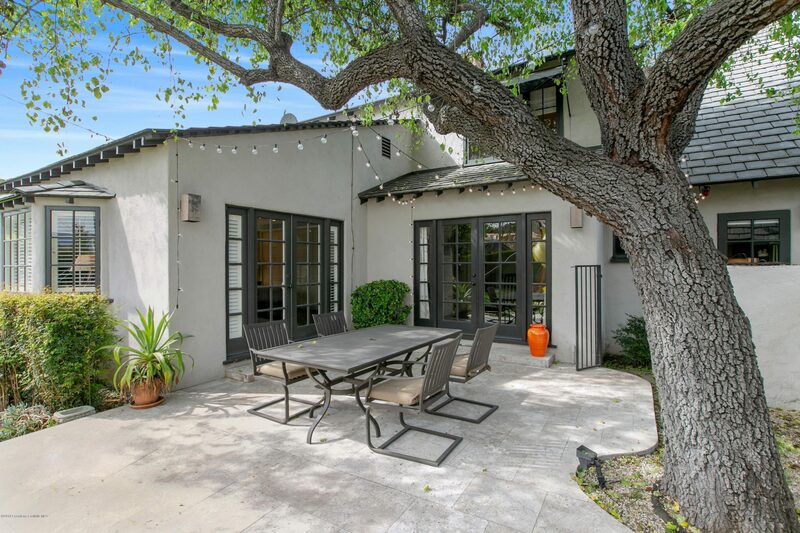 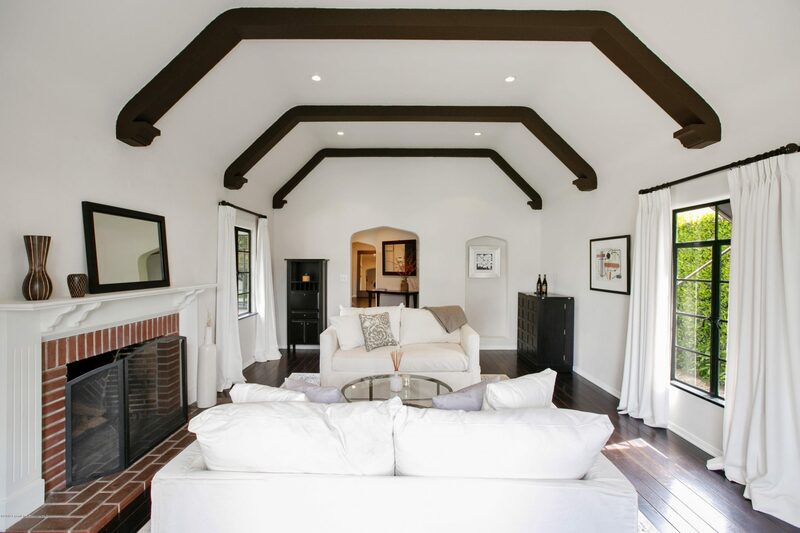 Storybook charm awaits on one of the most coveted, tree-lined streets in San Marino. 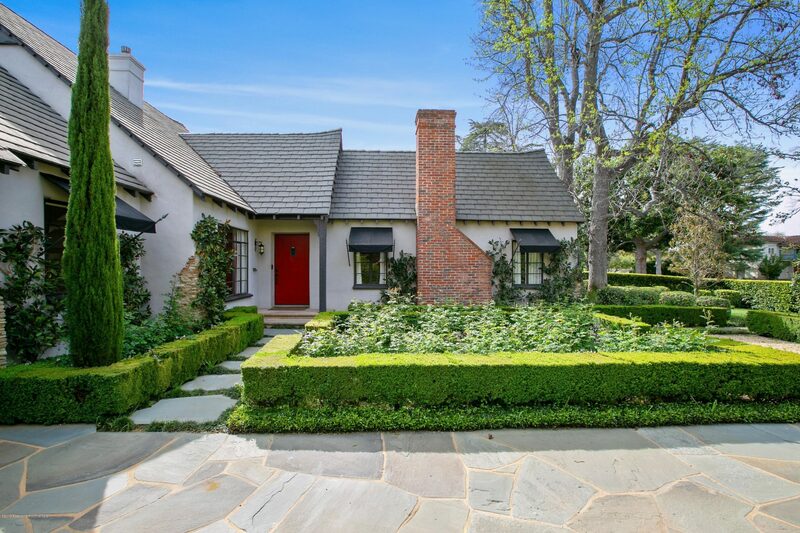 Built in 1933, this updated Country English Revival-style character home offers 4 bedrooms, 3.5 baths, formal living and dining rooms, family room, and a bonus den or office that can be used as a 5th bedroom, situated on a +/- 11,375 sq ft lot featuring a rose garden in the front. 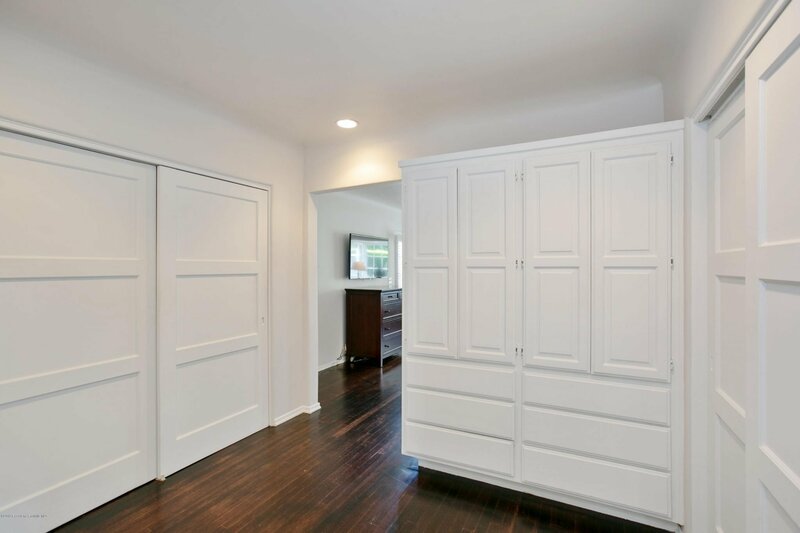 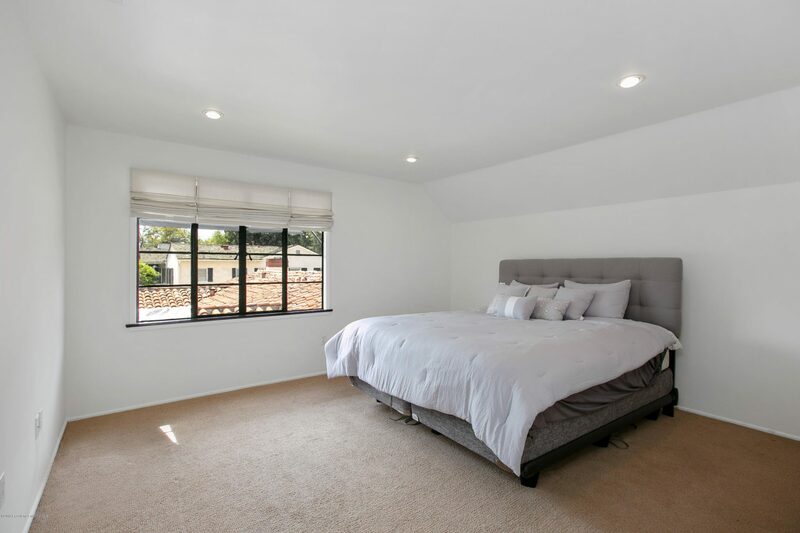 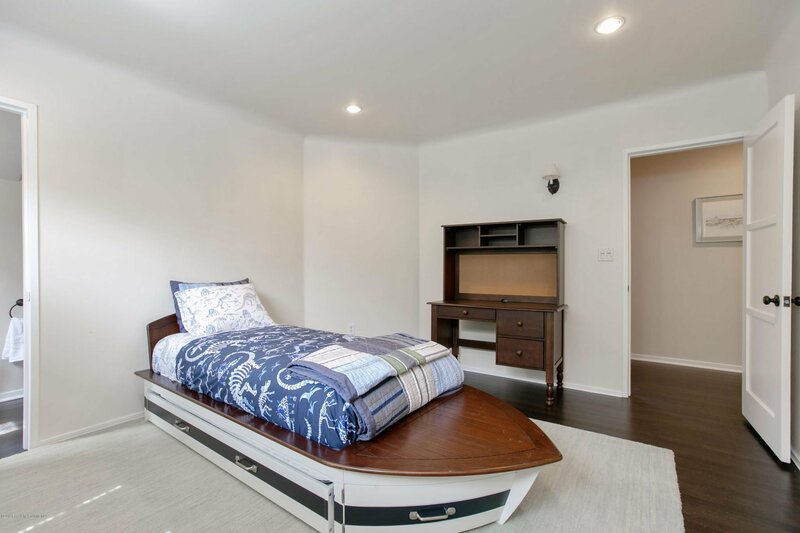 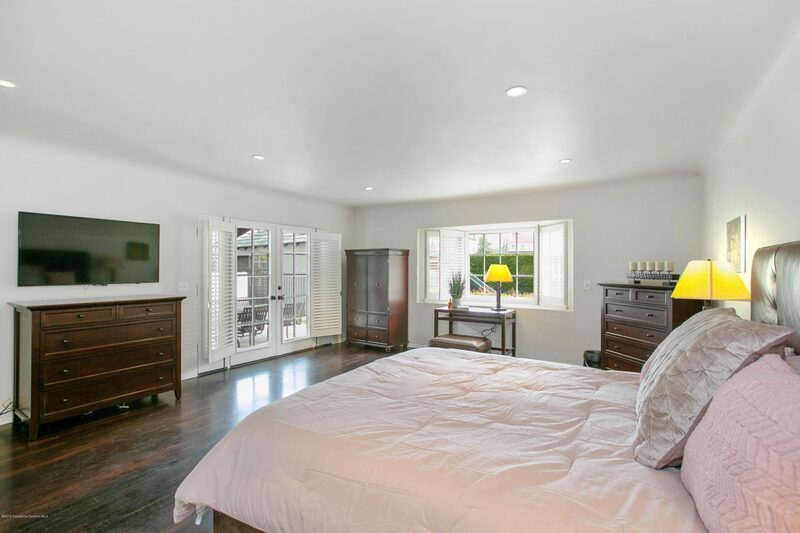 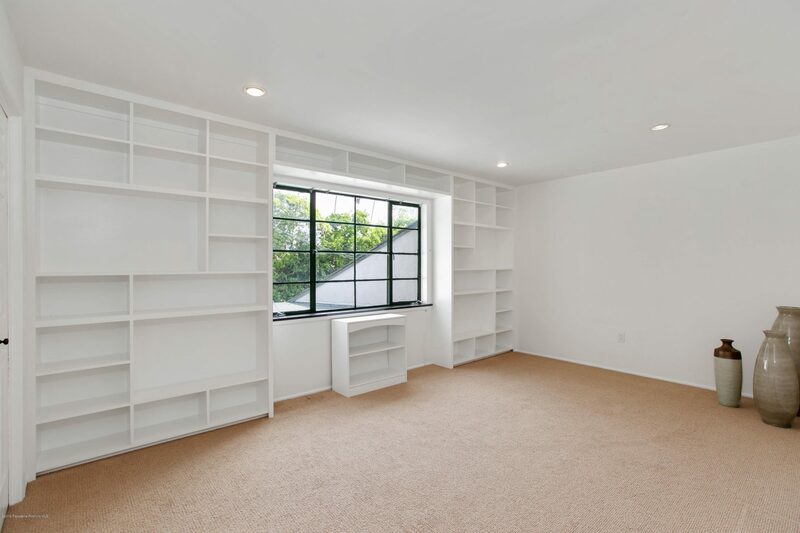 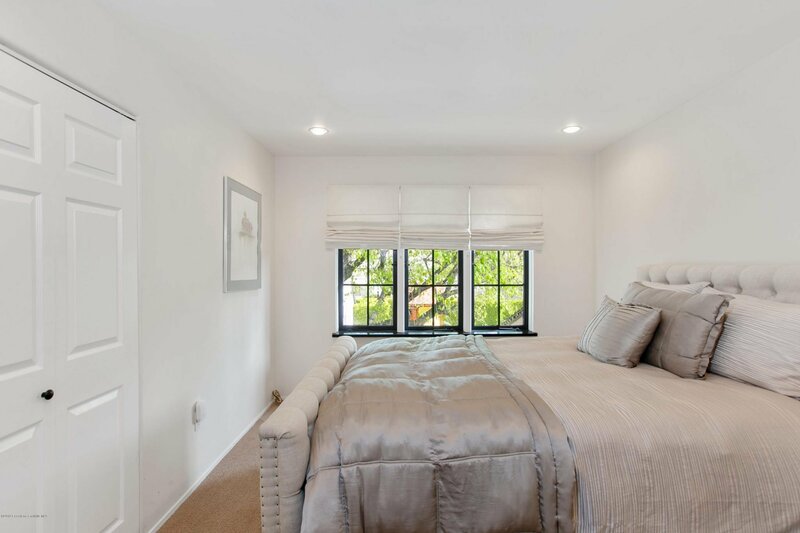 The master suite and bonus bedroom are downstairs, with three bedrooms and a large bathroom upstairs. 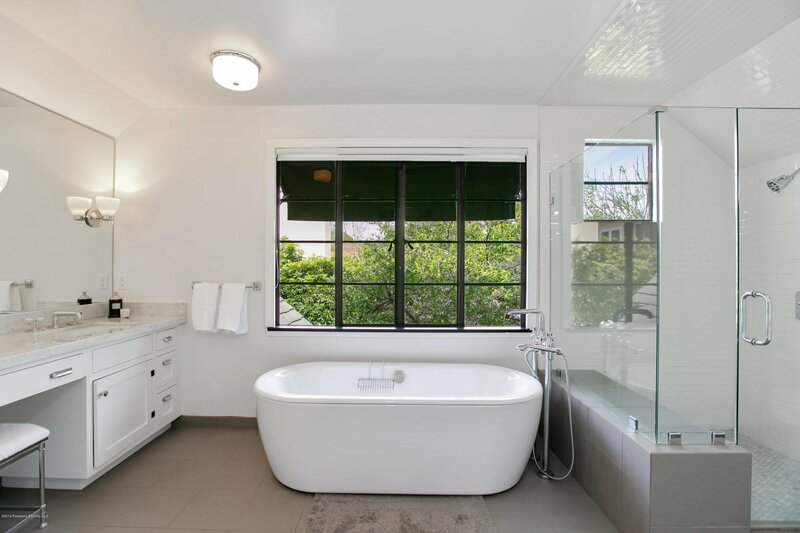 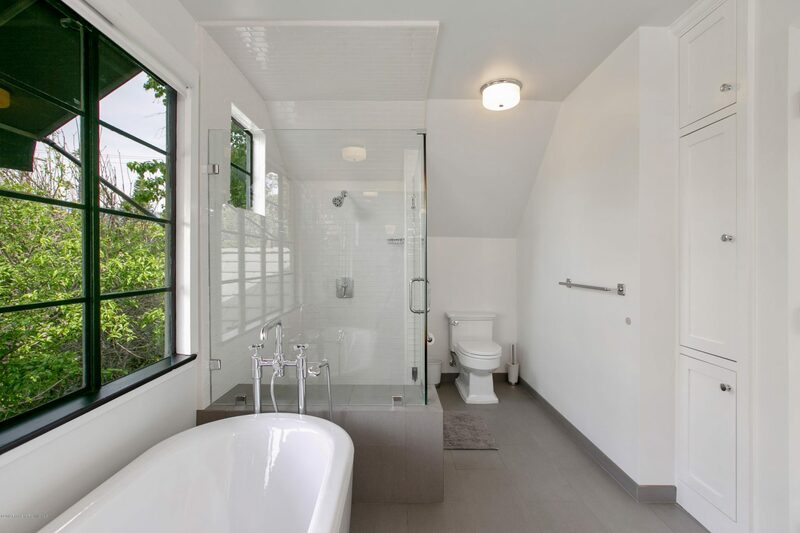 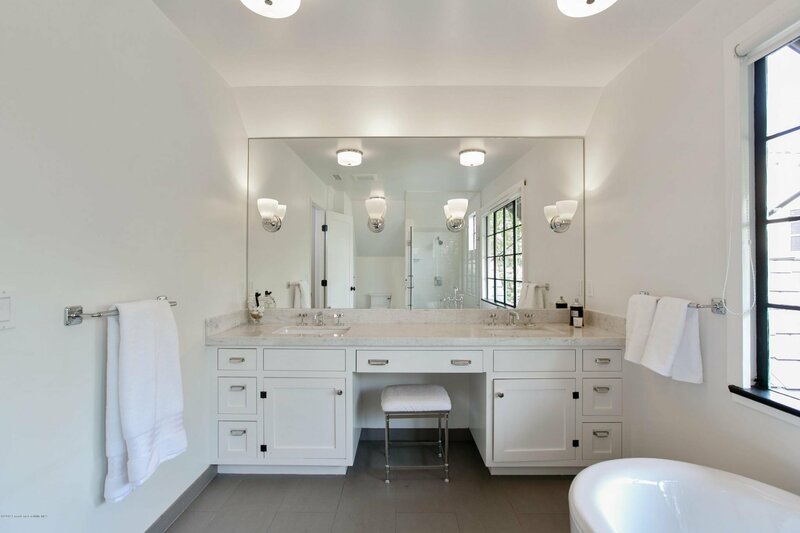 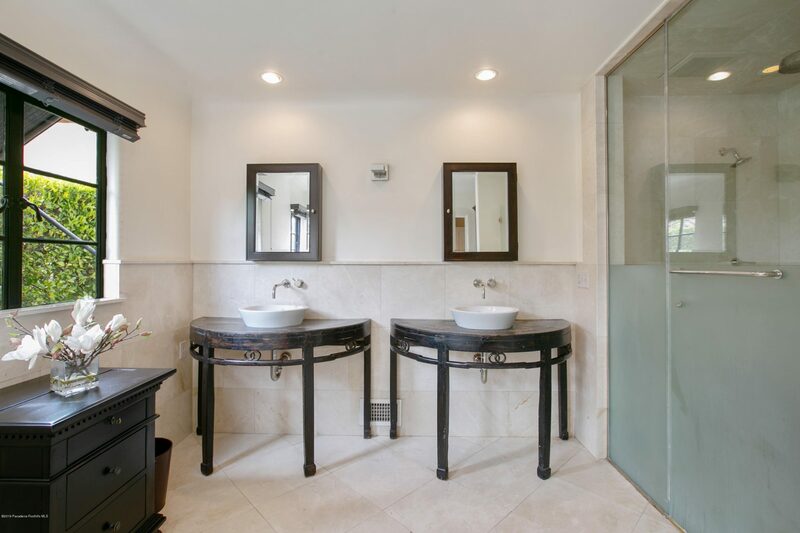 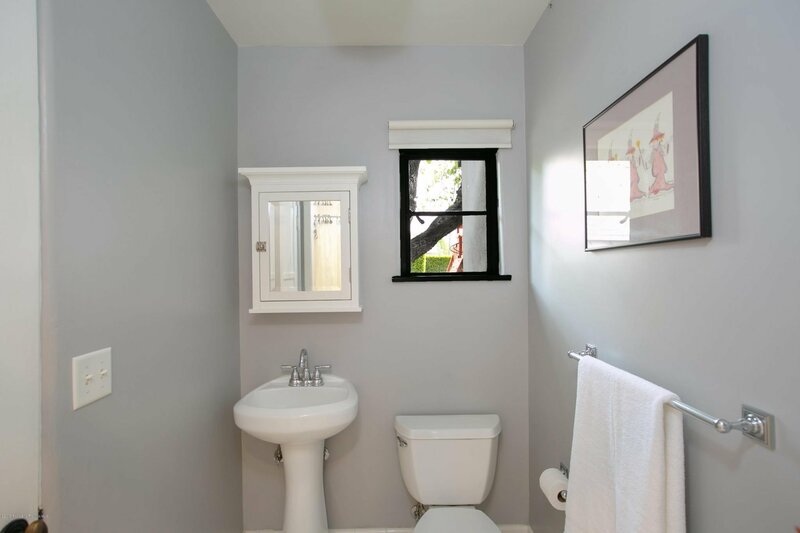 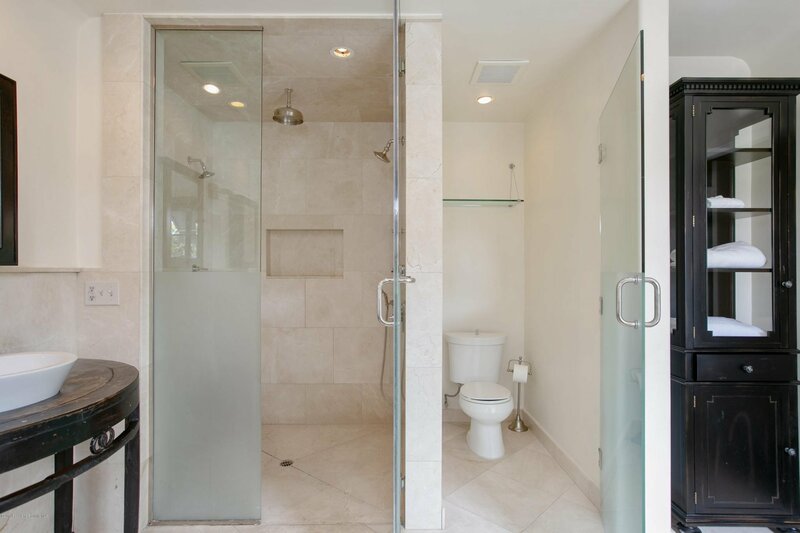 Both the master and upstairs bathrooms have double sinks, spacious showers and freestanding tubs. 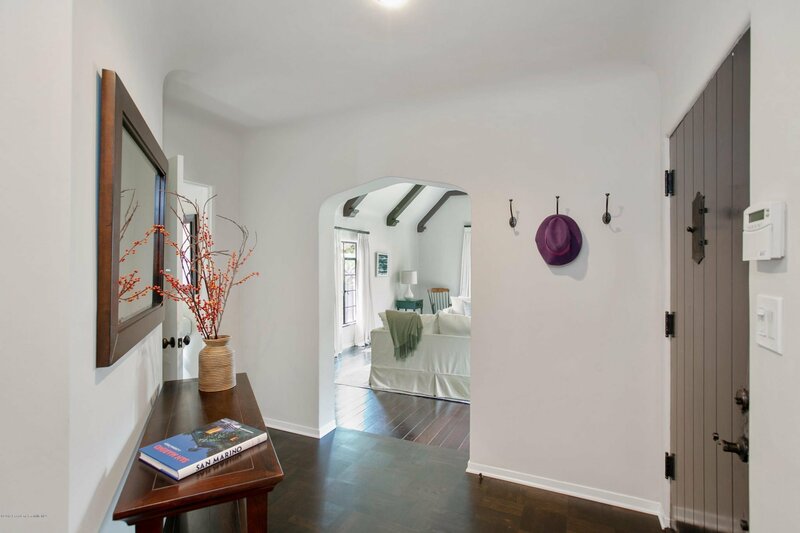 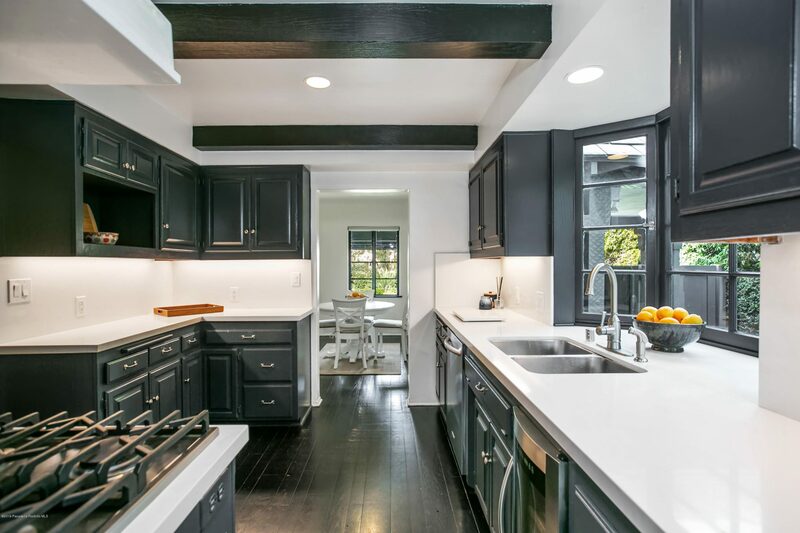 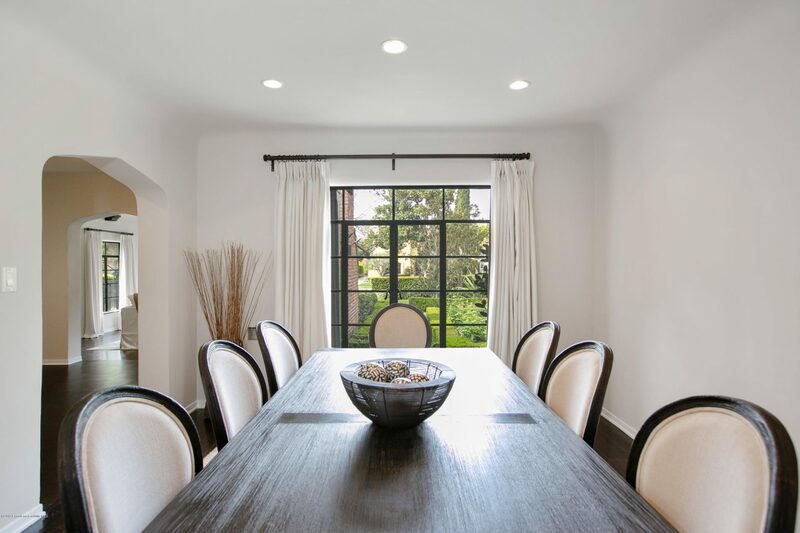 The house features an original stained glass window in front, two fireplaces, coffered beamed ceilings in the living room, updated window treatments and built-in storage throughout. 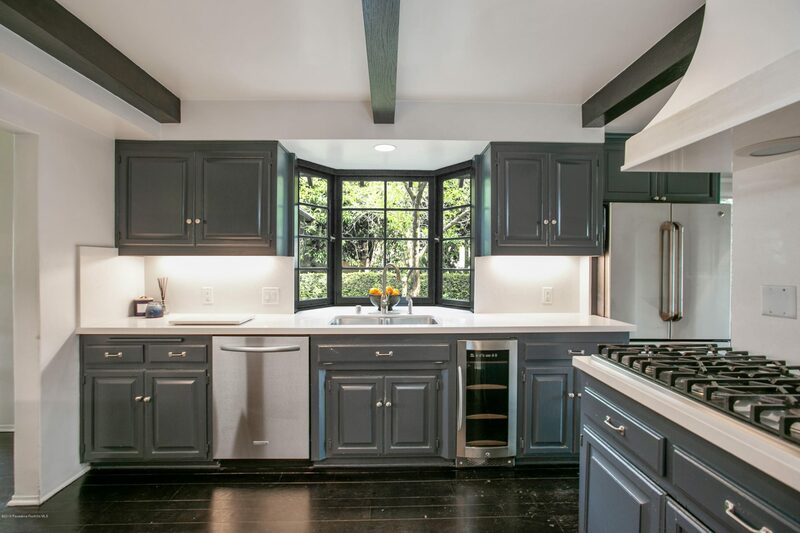 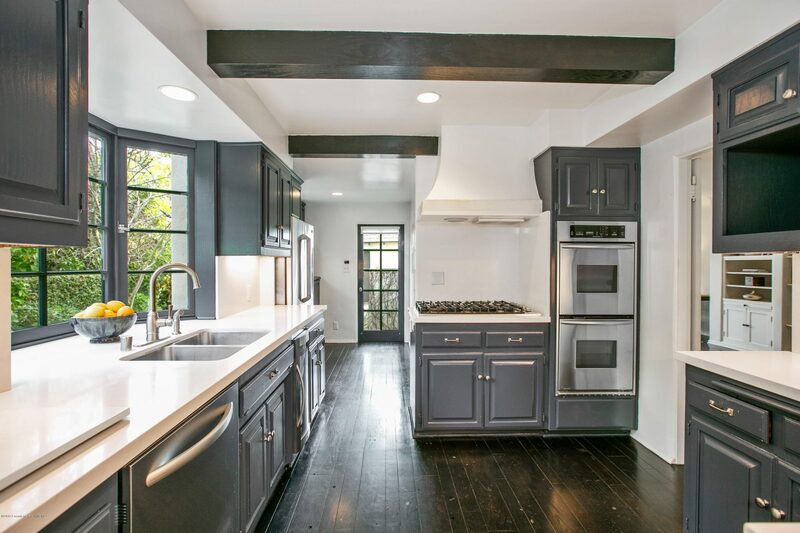 The kitchen is updated with Viking stainless appliances, and features bay windows and a breakfast room off the porte-cochere. 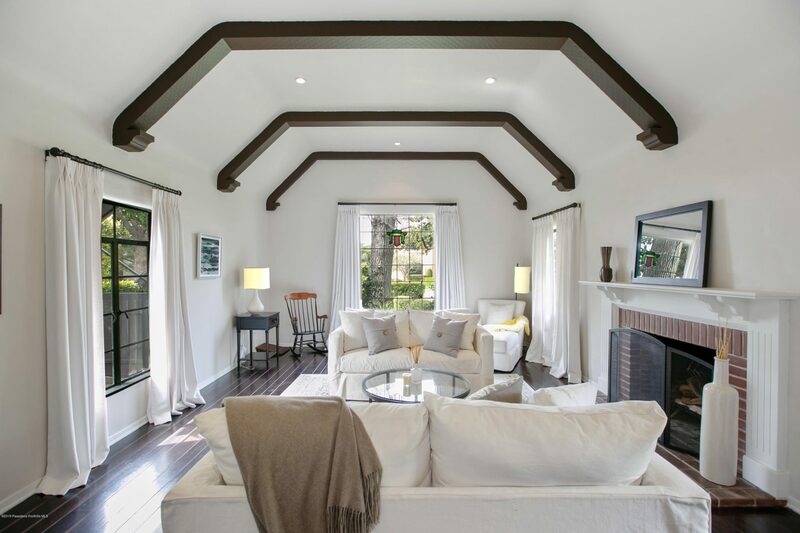 Multiple French doors open up to a spacious patio with mature trees, boxwood shrubs for privacy, garden boxes, and a high-quality wooden play structure for the little ones. 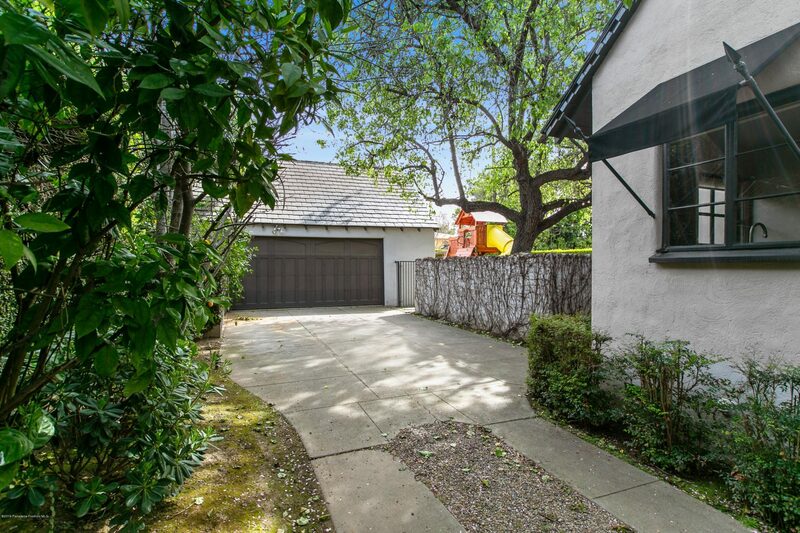 Just a short walk to Valentine Elementary, Huntington Middle School, the Public Library, Lacy Park, and the shops and restaurants along Huntington Blvd.